Every once in a while I get real sweet tooth. Now that I’m back on that WW Wagon I’m calculating those points again. Winners tip: toss it together while the popcorn is still hot so the chocolate chips melt onto the goodness. 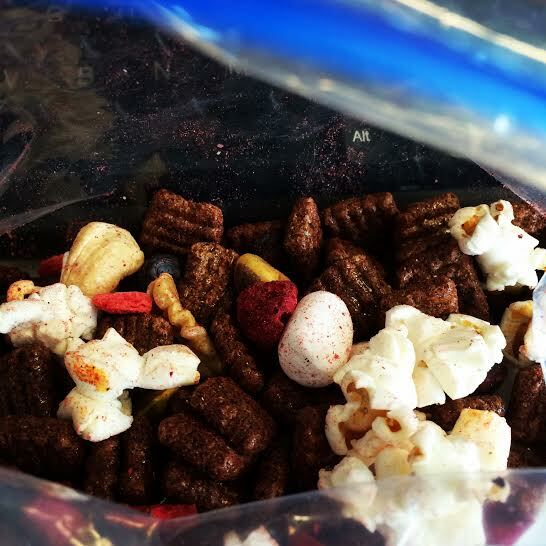 I made it on Monday and portioned it then, so now I have a ziploc snack of sweet goodness for two weeks that I can pick at all day long at my desk. Wowww that looks SO good…. Especially those chocolate cereal things.. Nomnomnom!